"The Casino, Little Compton, R. I." by C. R. Wilbur, Little Compton, R.I. 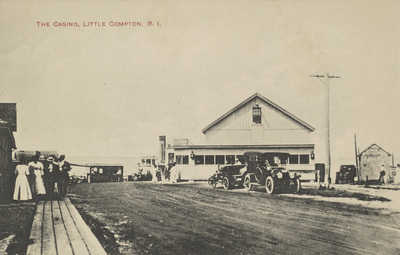 The Casino, Little Compton, R. I.
C. R. Wilbur, Little Compton, R.I.
C. R. Wilbur, Little Compton, R.I., "The Casino, Little Compton, R. I." (1915). Rhode Island Postcards. 146.